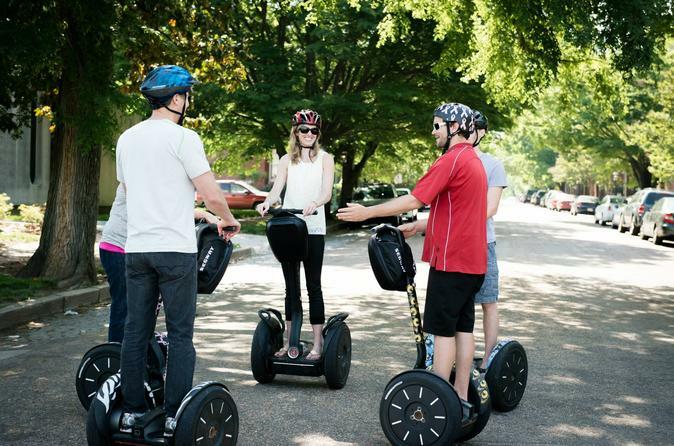 Our professionally guided 2-Hour Civil Rights Segway tour will trace the history and influence of African Americans in the city of Richmond Virginia. From the Slave Trail to leading the Civil Rights movement in the 60s, and ultimately to the Governor's Mansion, trace the steps of the incredibly courageous and talented African Americans in Richmond Virginia. You will hear and see the amazing stories of Box Brown and how he won his freedom from slavery, Maggie Walker, the first female and African American Bank President in the country, Bojangles who won Hollywood fame and enduring stardom dancing with Shirley Temple, Oliver Hill, the lead attorney on the Civil Rights landmark case Brown vs Board of Education, and Doug Wilder, the first African American elected Governor in America. Also see the Hippodrome where all the leading jazz artists from the 40s and 50s played, including Louis Armstrong, Lena Horne, Ella Fitzgerald, Count Basie, and many others. Come with us and visit a past you don't hear much about.